Cut the cake in half, wrap one half very well and store in the freezer for later. With the second half of the cake, crumble it into small pieces. 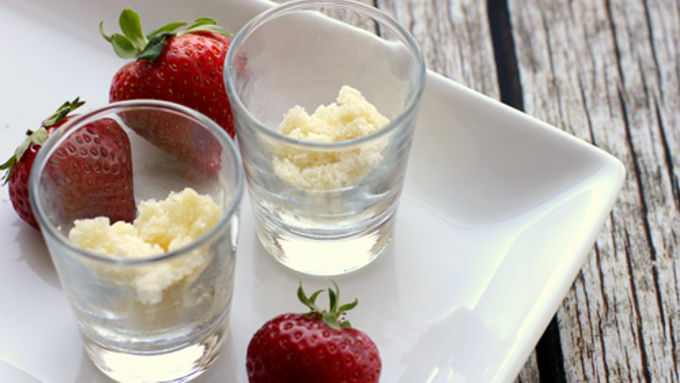 Press a small amount of cake into the bottom of 10 small shot glasses. 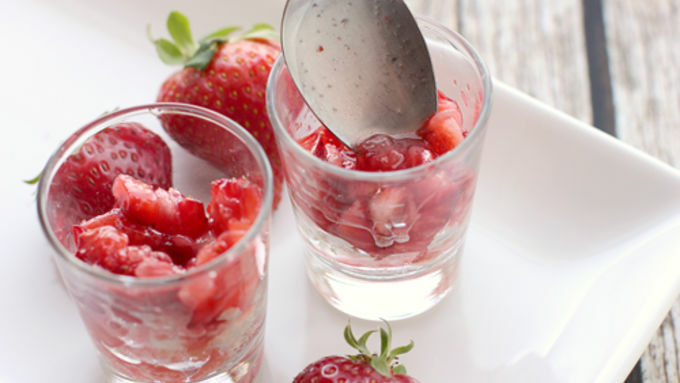 In a small bowl, combine the strawberries and sugar. 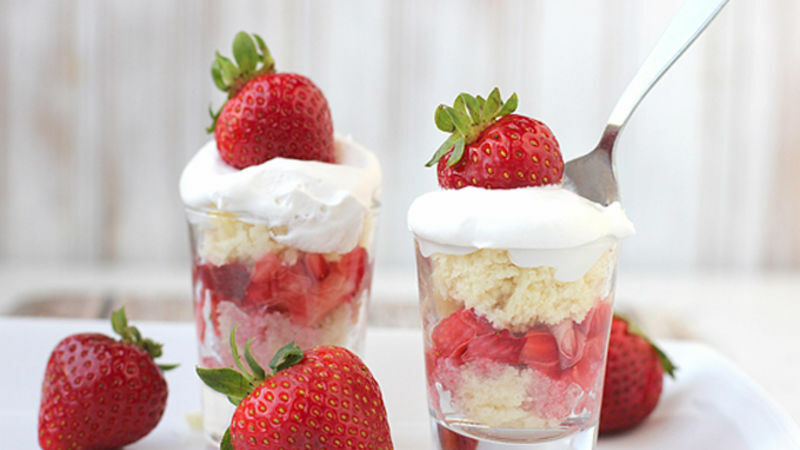 Spoon a bit of strawberries over the cake layer into the shot glasses. Place a second layer of cake just over the strawberry layer. Top with a spoonful of whipped topping. Garnish with a single strawberry atop each shot glass. Serve immediately, or store chill until ready to serve, for up to an hour. 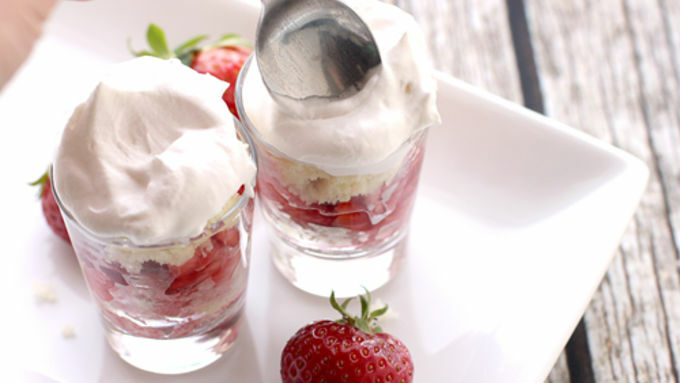 Here are more strawberry recipes you might enjoy!